Struggle of the Working Poor, China & India. Above: Second Place Winner — “Fishing with a Net” by Liming Cao of China; Fishermen fish with nets early in the morning. They sell fish at the market to make a living. The annual Photography Competition hosted by CGAP (the Consultative Group to Assist the Poor) aims to draw attention to the ways that financial inclusion can improve the lives of the poor. For many of us, banking is easy: swiping a card or making payments online and with our smartphones. Yet, a reported two billion people worldwide lack access to these basic services, surviving on the fringe of the financial system without access to formal banking. The CGAP photo contest highlights the faces and resilience of the working poor, and aims to demonstrate how creating accessible financial services can improve lives by “spurring innovations and advancing knowledge and providing solutions that promote responsible, sustainable, financial markets. 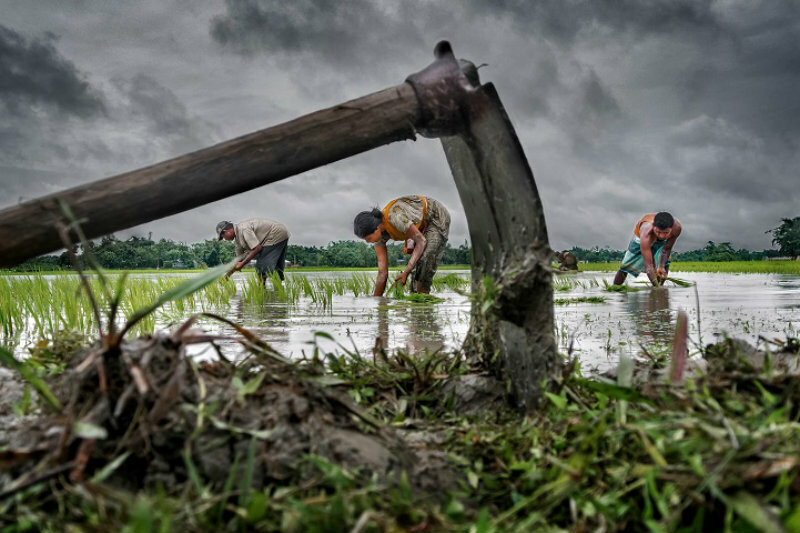 Grand Prize Winner — “Paddy Cultivation” by Sujan Sarkar of India; Rice is the staple food of West Bengal, India. Men, women and even children take part in paddy cultivation. This entry was posted in PHOTOGRAPHY and tagged Asia, Popular. Bookmark the permalink.